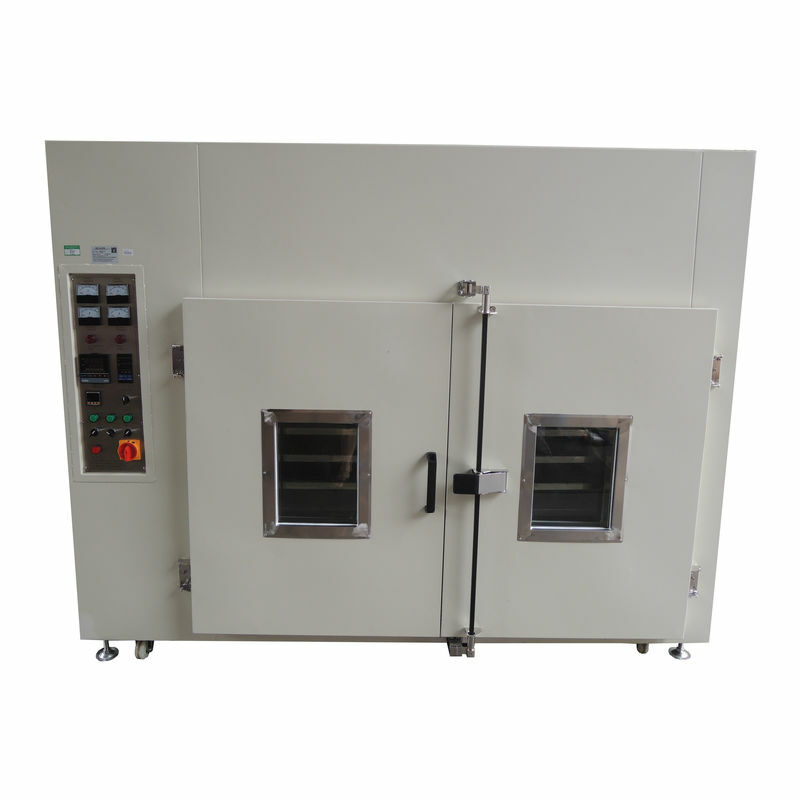 It is mainly used in the production of the product drying, baking, rapid drying and so on. 1 outside the use of cold plate paint; within the use of stainless steel. 2 new high temperature long axis motor. 5 over-temperature protection, overload automatic power system. 6 Circulation system: forced air circulation. 7 Heating system: PID + S.S.R. 8 thermostat: PID microcomputer control, automatic temperature, temperature rapid compensation function. 9 timer: warm to the time, when the power to the alarm instructions. 1 Temperature range Within room temperature to 200 ℃ adjustable control. 4 Temperature control for the PID microcomputer automatic calculation PV / SV at the same time display, the machine temperature can be allowed within the scope of the individual free to set the required temperature, and through the table PID parameter settings to ensure its accuracy of temperature control, also Can be carried out by the system itself with the self-calculation of the appropriate temperature control parameters. 5 Temperature input CA (K) TYPE output is 12V. 6 current controller for the SSR no contact relay, to maintain high stability of the current. 7 heating material for the honeycomb stainless steel heating pipe, pollution-free and long service life. 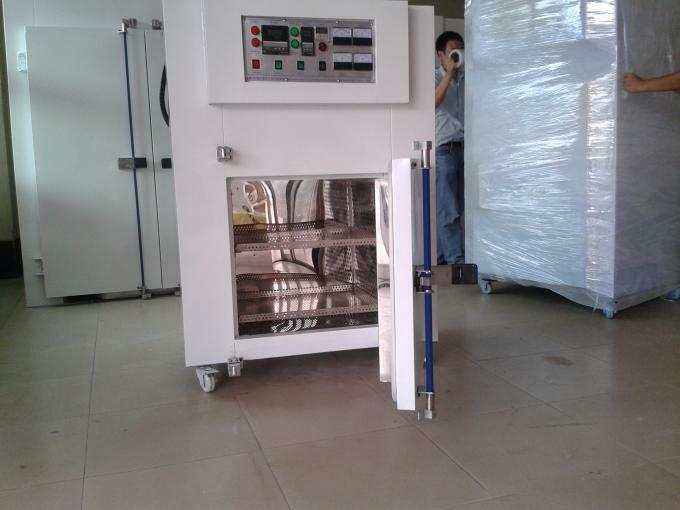 1 forced convection air circulation, the wind driven by the operation of the circulating motor driven by the electric heater, the hot air from the duct to the inside of the oven, and will use the hot air into the air duct as a source of repeated heating, thereby reducing the energy loss And to ensure that the temperature uniformity of the box, when the door open, off action caused by disturbance, the air circulation system can quickly return to the operating state of the temperature value. 3 Fan for the multi-leaf turbine type, high strength, built-in adjustable deflector, so that the wind running more smoothly flow.